We have the tools and experience to help restore your water-damaged carpet with professional carpet drying and cleaning services. Fresh. Clean. And healthy. 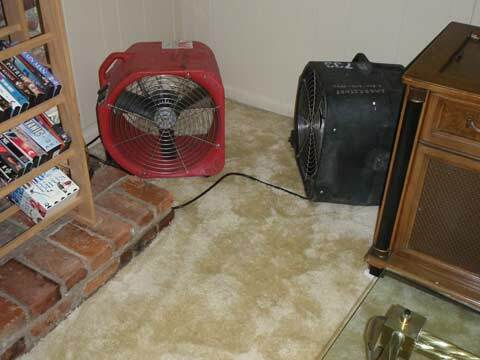 Did you know carpet is your biggest indoor air filter? A clean, dry carpet is very important to your health! No job is too big or too small - we offer top quality carpet drying and cleaning for residential, commercial, and industrial buildings. Drying water-damaged carpet in an Indianapolis home's living room. 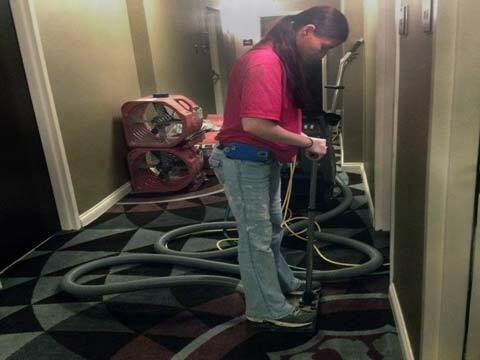 Commercial carpet drying at a local hotel.